I freely admit to the world that I am a huge Victorian/Regency Era fanatic, and I was in a Jane Austen sort of mood when I decided that I wanted to make lace nail art. So in honor of Mani Monday and my first blog post (and Jane Austen! ), here is my first nail art to share with you all! 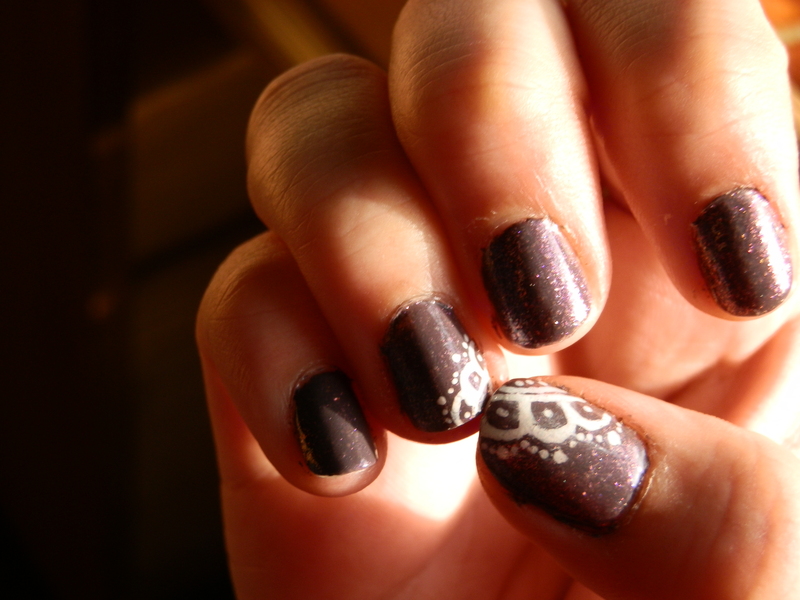 The lace was all hand-drawn using Sally Hansen’s nail art pen. Although my inner artist is satisfied with how the lace came out, I’m not too sure if I will be doing this mani again any time soon simply because it was so time consuming. I look forward to sharing more nail-art-fun with you all!